258 pages | 96 Color Illus. '… essential reading for all those interested in how coins are actually used by people in their daily lives' - David Yoon, American Numismatic Society (ANS Magazine, 4/2018, pp. 66-7). Nanouschka Myrberg Burström is Reader in Archaeology in the Department of Archaeology and Classical Studies at Stockholm University. Gitte Tarnow Ingvardson is Curator of the Coin Cabinet at the Historical Museum, Lund University, and a PhD fellow at the Bornholm Museum and Copenhagen University. 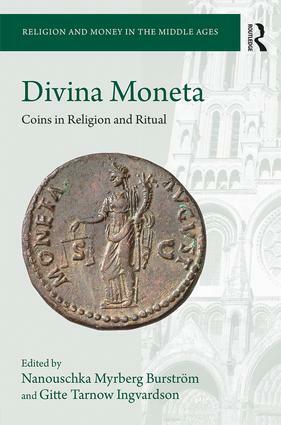 The series explores the connections between two of the most dominant aspects of medieval society and culture: religion and money. Both are ubiquitous throughout the Middle Ages, and both are expressed through a wide variety of media, from the textual to the material. In this light, the series recognises the importance of multi-disciplinary perspectives, and welcomes joint as well as individual authorship and editorship. All disciplinary perspectives are welcome, particularly from archaeology, history (social, ecclesiastical, intellectual and economic), theology, anthropology and numismatics. The series operates with a broad chronological range, in western European terms from late Antiquity to the Reformation. While the geographical and cultural focus lies in western Christendom, the series will be open to cross-cultural comparative studies, and to treatments of money and religion in all religious communities within the period, within Christendom and without.